What a busy April it has been! 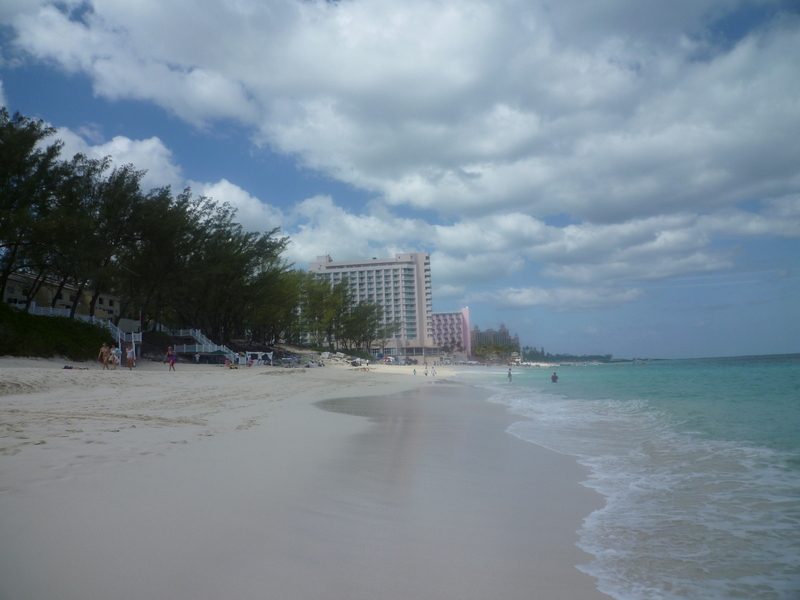 First we were off in the Bahamas with family for what was a wonderful, relaxing and awesomely fun vacation. There is nothing so calming to me as being by the ocean. Not to mention the glee I get from enjoying good seafood, freshly rolled cigars, and time to just be with the people I love the most. Our final concert of the season will be in June at the National Cathedral and is a tribute to the maestro for his 47 incredible years as Choral Arts’ director. Joe and I get married two weeks after that concert, wow. Summer is going to be wonderful! Still riding the adrenaline rush from Sunday, I finally had both the time and energy to do some baking last night. At the same time, since we’ve been getting home so late that I had very few interesting ingredients hanging around the house. A handful of this, a pinch of that, a few squares of chocolate…etc. But any decent cook knows that you just work with what you have. And I had brownie ingredients. I’m not into tooth-achingly sweet things when it comes to chocolate. I like decadent and rich, not too much flour, and little or no leavening agent. Brownies are not, in my opinion, mini-cakes and are best when creamy and a little bit dense. 3.5 oz. dark chocolate. I used 72% for this batch. Handful of shredded coconut. Sweetened or unsweetened is fine. Preheat an oven to 350 degrees F, and line an 8×8 in. 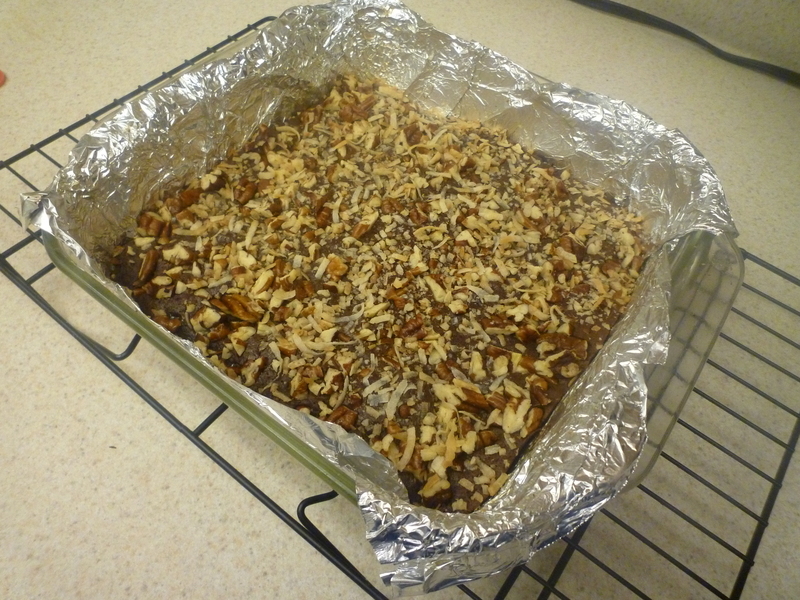 square pan with foil. Grease the foil lightly. In a dry pan, toast the coconut and pecans over medium heat until fragrant and lightly brown. I did them in separate batches since the coconut browns much quicker. 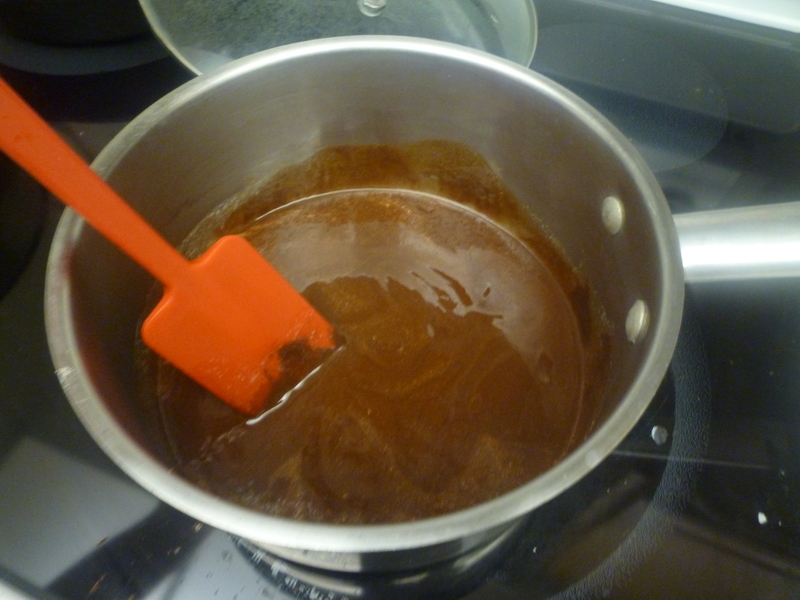 Melt together the butter and chocolate, stirring occasionally. 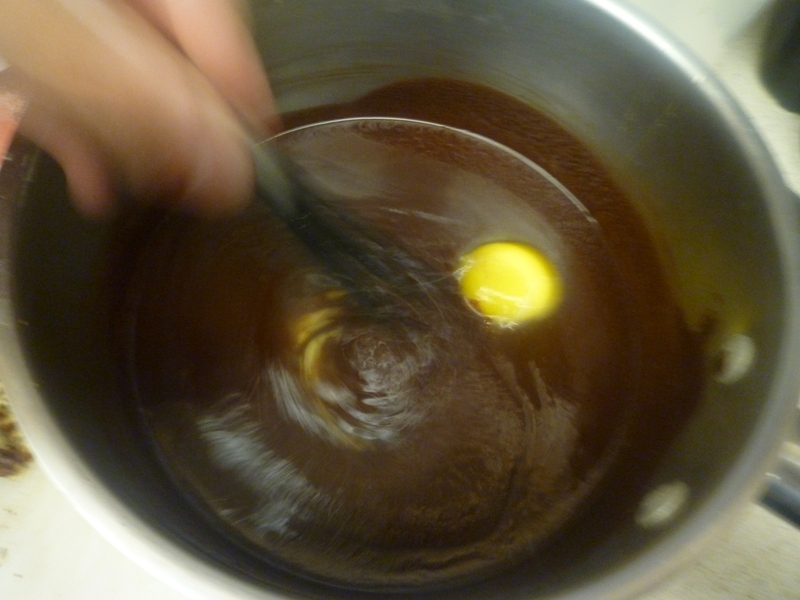 When the chocolate is almost completely melted, remove from the heat and mix until smooth. 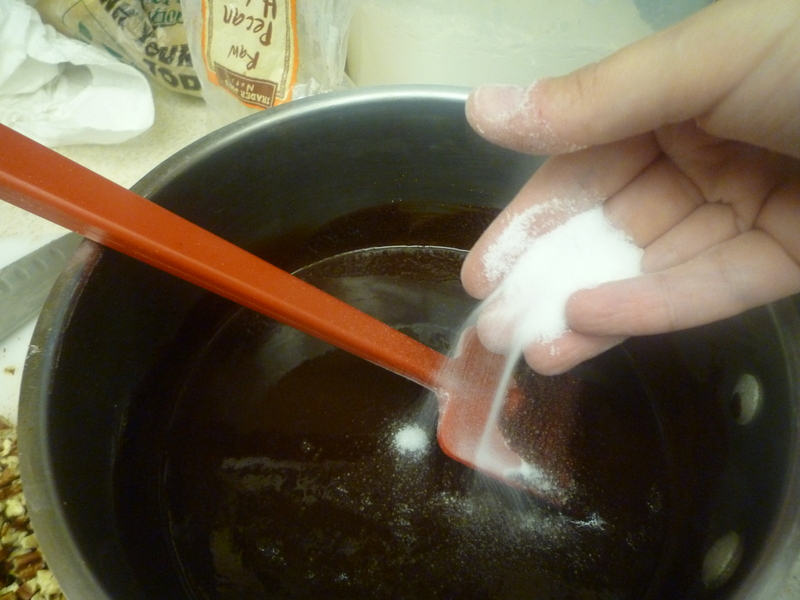 Add ½ cup of sugar and give the mixture a taste. If you want it a little bit sweeter, use up to 2/3 cup, but I wouldn’t go any higher than that. Add the eggs one at a time, mixing thoroughly between each addition. Then add the salt and extracts. Mix the flour into the wet ingredients and beat by hand until it is incorporated. 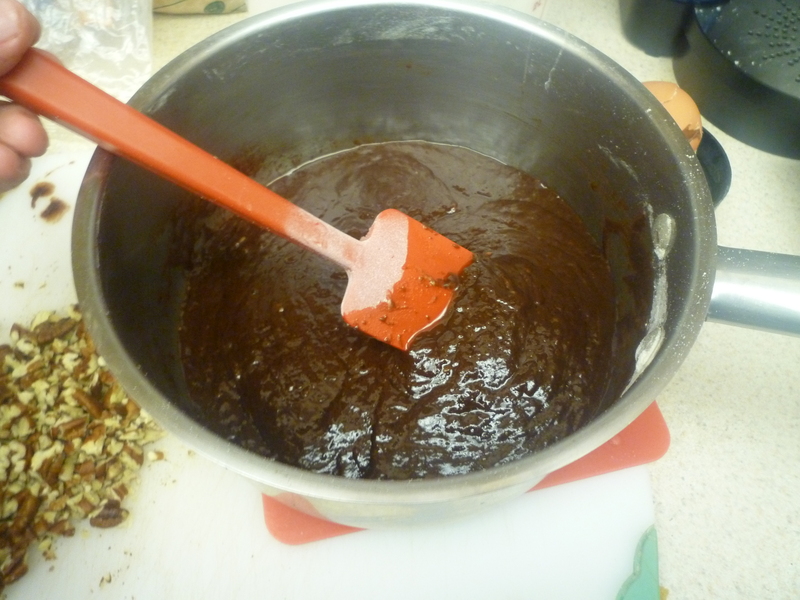 Pour the batter into the 8×8 in. 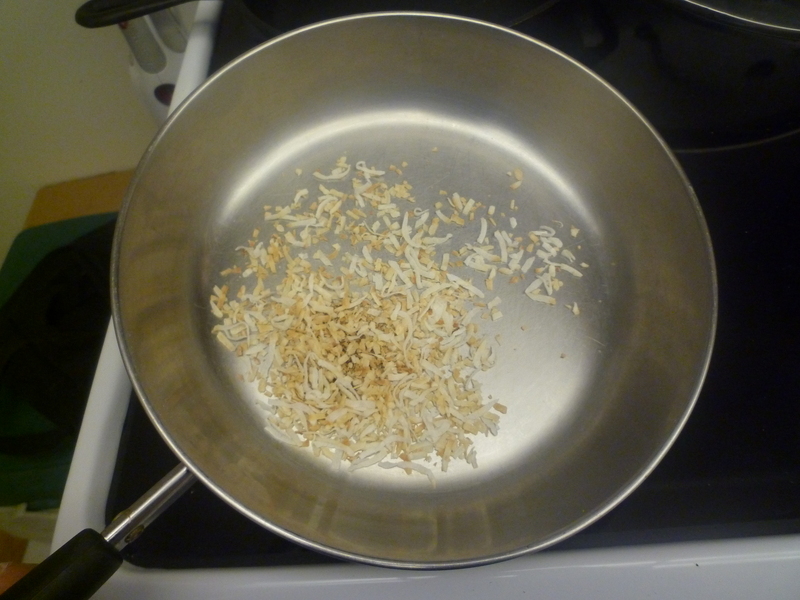 pan and top with the shredded coconut and pecans. Bake 20-25 minutes or until the center has just set. The only patience involved in this recipe comes at this stage. Let the brownies cool in the pan for 15-20 minutes and then remove (the foil makes this so easy) and rest on a wire rack until completely cool…or at least close to it. 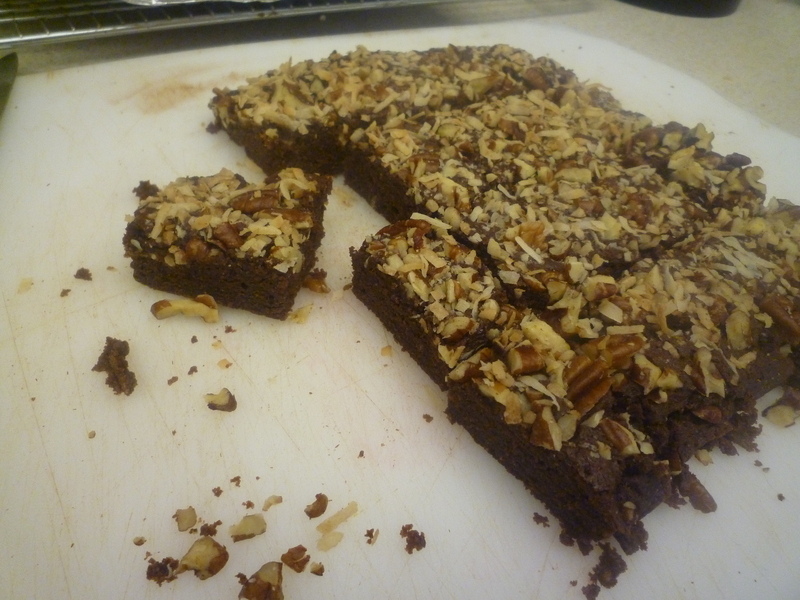 I’ve cut this batch into as many as 24 small brownies, but you can choose your own destiny there. They’re hard to share, but when I saw how happy they made folks I gave them to, it more than made up for the fact that I only got to try a bite of one that broke when I cut them. And I hope delicious chocolate makes up for my long absence from the blogosphere. There should be a bread recipe coming up soon once I finish getting the photos ready to go, so be on the lookout for that.